Nine years of non-stop growth with many customers from the automobile, construction material and packaging industries, and a vehicle fleet of 50 of its own tractor units – the Diem shipping company from Wernau in Baden-Württemberg, Germany has been growing at an extremely fast pace. Today, general manager Thorsten Diem has a comprehensive overview of the entire fleet by using CarCube on-board computers and FleetWorks back office software from Trimble. With the telematics solution he directs the shipment and freight structure of the national transport company. In addition, he benefits from significantly reduced time expenditure for the dispatching office. One, two, three – Thorsten Diem´s experience as a small child was like that of many of his contemporaries. When he was travelling with his parents on the motorway, he loved to sit in the back seat and count the trucks that passed by. Later he took his first professional step as a laboratory chemist, but he never really lost his fascination for the transport and logistics field. When one surveys the company grounds in Wernau near Stuttgart, they quickly realise that the early fascination left its mark on Thorsten Diem. Fifty company-owned tractor units, a turnover of more than seven million euros and over 60 employees exemplify the company’s growth in the 10 years since it was formed. With such rapid growth, observers would expect to see hectic activity everywhere. But that’s far from the case! A peek in the shipping company’s dispatching office shows just the opposite: the employees are viewing their screens, calmly monitoring the positions of the vehicles, which are transmitted by the on-board computer CarCube to the dispatch office. This scenario has become a very important part of the company. 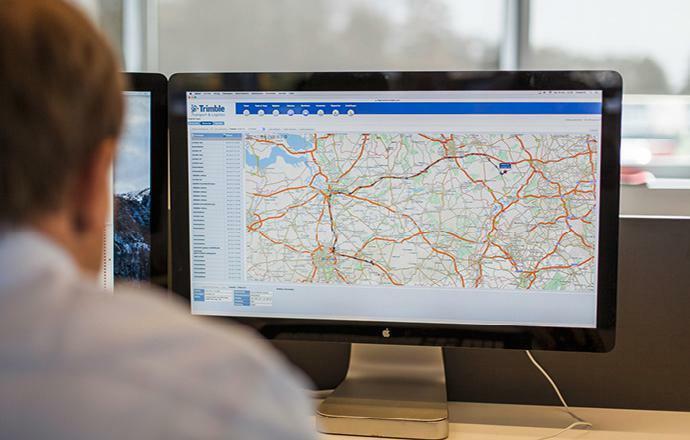 With Trimble’s CarCube and FleetWorks back office software, we have substantially reduced the time spent in our dispatching office and we can do a much better job of planning our routes. Diem´s other sites are located in Leonberg and Calw. The geographical proximity to many car manufacturers has also had an impact on the clientele of the shipping company. Several suppliers in the automotive sector rely on the company’s logistical services. In order not to jeopardise the current production, timely deliveries of automobile parts in particular form a fundamental prerequisite for the company´s success. We know exactly where our vehicles are at all times. And customers benefit from our ability to provide better information, which was confirmed by the positive feedback we receive. 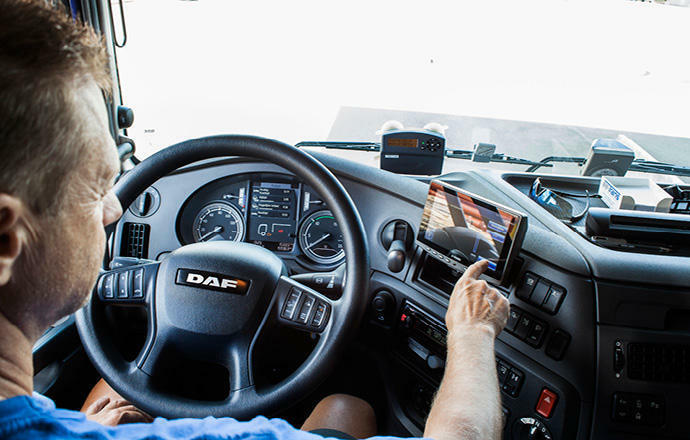 For Diem, the telematics system has become a permanent element in the day-to-day operations of modern logistical service providers. When the company started out with four vehicles, five employees and just a single customer, the dispatching office functioned very differently. The dispatcher would try to reach the driver by telephone in order to find out their location and the anticipated arrival time. But with Diem´s expansion, the size of the vehicle fleet also grew and so did the amount of time on the telephone with drivers. “Where are all my vehicles? Are the goods going to get to the customers on time? It was very difficult to maintain an overview of the entire fleet.” Diem commented about the difficulties in the dispatching office. “So we decided early on to implement a telematics system that supported us in the day-to-day operations,” said Diem. After the shipping company did its homework and had a good idea of the various telematics solutions, the selection was made to implement Trimble’s CarCube on-board computer as well as the FleetWorks software solution. Along with the multitude of functions, the system proved convincing with its user-friendliness and the graphic clarity. I turn on the computer and I can immediately see where all our vehicles are located. So in the event of irregularities, I can contact the driver directly. The system’s ability to interface with other software is also a major plus since it means that the internal shipping software can also be configured and integrated without difficulties using CarCube. Currently 47 trucks are equipped with the CarCube, and all new vehicles automatically receive the telematics system. Not only does the dispatching office benefit from the on-bard computer so do the Diem drivers. Gone are the days when they had to manually record their driving and resting times and verify them themselves. The driving and resting time monitoring is now automatically integrated into the CarCube, so that the drivers can do a much better job of planning their breaks. In addition, communication within the company is also improved. Drivers can receive and send text message with the CarCube to remain in constant contact. Our drivers have a great added value as a result of the on-board computer. The purpose isn´t to control them, but rather to increase the efficiency of our work. Diem Spedition is a shipping company with many customers from the automobile, construction material and packaging industries. Diem Spedition, located in Wernau in Baden-Württemberg, has a vehicle fleet of 50 of its own tractor units and has been growing at an extremely rapid pace.